Phone cases are often bought readymade. Just go to a store and choose the applicable one for your phone. The problem is, there are hundreds and even thousands of you within the same town or city. Why not have a special cell phone case just made for you, yet with the durability you can count on just like the others, or even better? 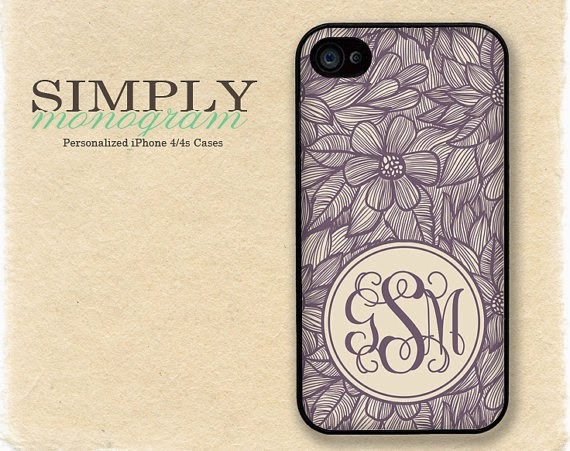 Have your own monogram cell phone case with your own initials or send it as a gift to someone special. You can choose from iPhone 4 to 5C and Samsung Galaxy S4 or S5, 3 colors, 6 fonts, and 3 types of casings. Guess what, Father’s Day is around the corner, this would be a perfect gift. When I checked out the place, all I could think about was getting one for my father who just needs to upgrade his phone. I’ll bet he will be surprised when he gets a new monogram phone case.